Pepper growers and businesses in Dak Song district of the Central Highlands province of Dak Nong have committed to implementing a programme to create a value chain for pepper corns. They met in Dak Song district, which accounts for over 50 percent of the pepper growing area in Dak Nong province, on March 28, seeking to develop the production of bio-pepper corn in service of export. 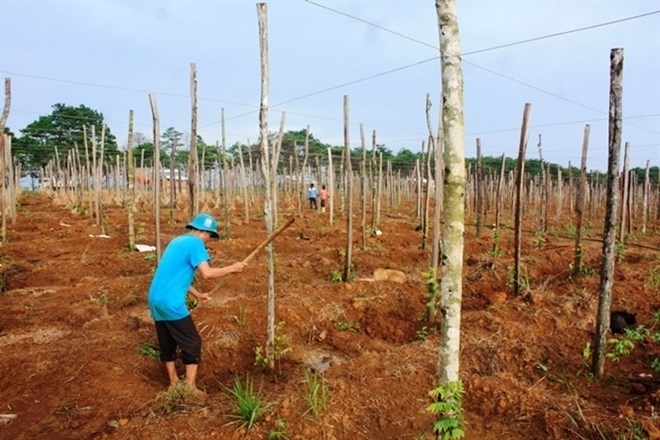 Dak Nong is home to about 27,600 ha of pepper, which is nearly double the province's planned area for the plant by 2020. The area gives a yield of over 34,000 tonnes of pepper corns. Truong Thanh Tung, Vice Chairman of the provincial People's Committee said that all stakeholders, including farmers, cooperatives, businesses, scientists, and authorities need to join hands to build the value chain for the sustainable development of pepper. Local authorities should periodically supervise the implementation of the programme. Pepper is among the hard currency-earning plants of the province. As the prices of pepper corns have risen over the years, cultivation areas have, therefore, been expanded without planning. Meanwhile, the management of pepper seedlings is yet to be effective, leaving grown plants to be likely affected by diseases, heard participants. In the first two months of this year, pepper exports reached 16,000 tonnes worth 112 million USD, down nearly 20 percent in quantity and 36 percent in value. 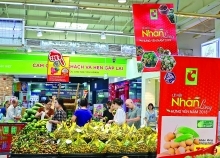 The United States, India, Germany and the United Kingdom are Vietnam’s largest pepper consumption markets, making up 41 percent of Vietnam’s total pepper export.